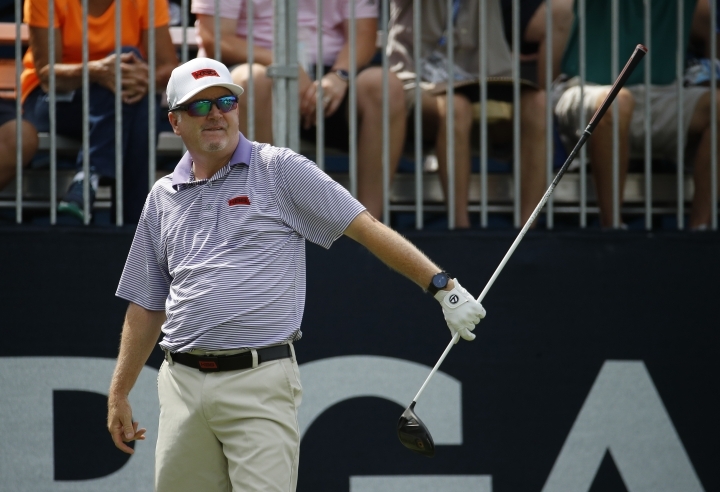 ST. LOUIS — Craig Bowden fits players for golf shafts. Omar Uresti teaches a lesson or two. Both used to play this game against the world's best, but now find themselves in a different place — having recently turned 50 and in the hopes of returning to a time when the thrill of competing was the reason they got out of bed in the morning. 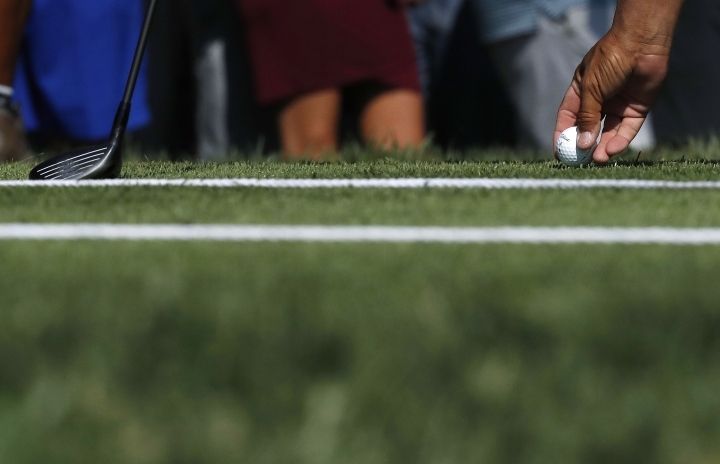 Maybe, just maybe, they can kick-start their resurgence at the PGA Championship this week. 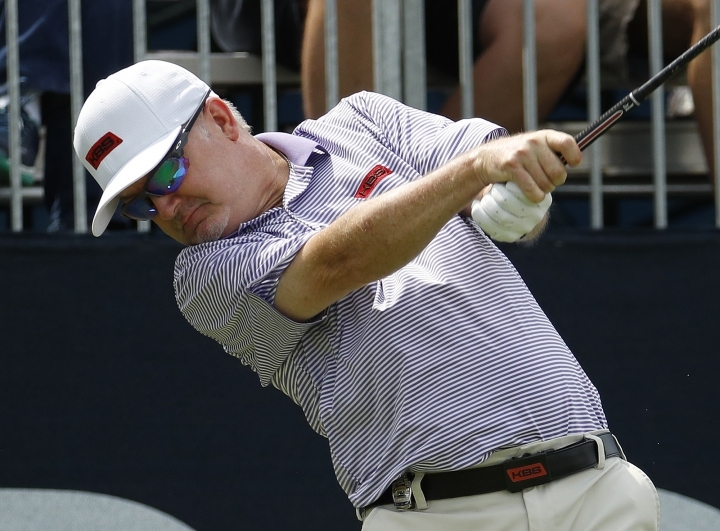 They are life members of the PGA of America, and as such, each is eligible to earn one of the 20 spots reserved for the club pros this week at the PGA. But don't mistake Bowden and Uresti for the guys who spend their days rubbing elbows with members at the local pro shop. "I don't have much of a golf life right now," Bowden said. His day job involves traveling with the Web.com and other tours and fitting players with the club shafts. "And I play with the Friday group at home at Bloomington Country Club," in Indiana, he says. "I give away a bunch of shots to the guys. Have a cocktail on the back patio, and that's basically the extent of it." If things go well — not necessarily this week, but over the next several months — Bowden and Uresti will be making an appearance or two on the Champions Tour. Now that they've reached 50, both plan to play in Monday qualifiers and possibly go to Q-School in an attempt to get status. Both had status on the regular tour years ago. Uresti was a longtime grinder on the Web.com Tour, until he broke through and got his PGA Tour card for 2008. He played on the big tour for three years, then went back to the Web.com in 2012 before essentially disappearing from the playing side of the game. "I actually hit a little bit of depression in my life when I wasn't playing competitively," said Uresti, whose home club is Onion Creek in Austin, Texas, where he teaches a few kids and partakes in the occasional skins game with the members. "I figured I could play in the PGA of America. I was able to become a life member because I'd been paying my dues long enough." This is the fourth straight year Uresti has qualified for the year's final major through the PGA professional qualifying event. Last year, he took some criticism on social media from those who argued he'd never stocked a sweater or taken a call for a tee time. Uresti doesn't contest that point. "I think they were more upset with the rule than they were with me," he said. "I just happen to fall into that category." Like his fellow 50-year-old qualifier, he is not expecting any miracles starting Thursday when the 20 club pros tee it up against the strongest field of the year — one that includes 98 of the top 100. Then again, there is an advantage to having been in these situations. Bowden has played five U.S. Opens, and also qualified for the 2018 U.S. Senior Open, played six weeks ago at the Broadmoor, where he tied for 31st. Uresti adds these four PGA Championships to six U.S. Opens he played from 1995-2005. "If this is your first time there and you've never hit shots in front of people, it's nerve-wracking," Bowden said. "And if you're not quite on your game, it's really nerve-wracking. If you're out there just trying not to embarrass yourself, you're thinking about the wrong thing." Both players agreed that if things go really well, they could finish in the top-40, maybe the top-30, this week. All of which would get them ... "more money for my wallet," Bowden said. "I have a chance to compete," Uresti said. "Not necessarily win, but compete, which is what I love to do." Bowden: "I like being competitive, because it makes me more relevant in my job. Because people talk. And if you play well, then you're not just another body out there doing shafts."